In order to get the Titan One device working on Playstation 4 you will need the help of a Dualshock 4 controller and a micro-USB cable* (or any PS4 licensed controller) for the authentication procedure. *With Titan One devices the authentication can also be performed using a Dualshock 4 controller in wireless mode, is this case the micro-USB cable is not need. 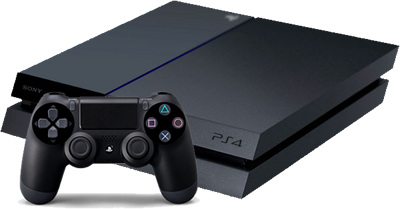 Set the Output Protocol to PS4 or AUTOMATIC in Device Options. In order to change this option the Titan One device needs to be connected to your computer by the PCPROC side port, through a USB cable. After few seconds the display on device should start blink "AU", pointing out the PS4 is requiring authentication. We strongly recommend connect the Titan One device directly in a USB port of PS4. Using extension cables may cause the Titan One device resets. If an extension cable is really needed, we suggest to use only high quality USB extension cables, designed to 1A or more in the power lines. The display should now show the number 0, indicating the Titan One device is ready to reply to any authentication request from PS4. At this point you can use the console through the device and load script or Gamepacks. *Titan One Exclusive Feature: With the Titan One the PS4 authentication can also be performed using a Dualshock 4 controller in wireless mode (micro-USB cable is not required). The PS4 regularly requests authentication (every 30 seconds) to a connected controller. For this reason a controller capable to reply to those authentication requests is required to be connected with the Titan One device all the time. UPDATE: Since Titan One Firmware 2.08 the crossover feature is partially available. The top LED dot will flash every time a request for authentication is received.